Recently, The CW peeps were so kind enough to reveal the official synopsis/spoilers for their upcoming "Arrow" episode 7 of it's current season 5. I just got a chance to take a brief look at them, and they certainly sound quite interesting and pretty dramatic as team Arrow tries to figure out if it's ok to let another vigilante, that has shown up, to keep rescuing people. Lance decides to drop a shocking confession after Thea fights for him, and more. To get things started, it's revealed that the producers, decided to title this installment: "Vigilante," which is certainly understandable, given the fact that we'll be seeing a new vigilante in play. The official synopsis that the CW folks gave us, reveals that we're going to see two criminal bodies get dropped off at the Star City Police Department, prompting Oliver to realize that a new vigilante is in town. This will cause the team to be at odds with each other as they won't all be able to agree on what they should do about this new vigilante. Apparently, some of them will think it's ok, while some might not think it's ok.
Next, we learn that a new situation that Diggle has been thrown into, will leave him very frustrated and ticked off. We're also going to see Thea really go to bat for Lance at one point. Then Lance will drop a major bombshell secret! To cap off the synopsis spoilers, we're going to see some more flashback scene action that features Oliver, finally getting to sit down with character: Konstantin Kovar (played by guest star: Dolph Lundgren). Alright, guys. That's all CW dished out for this episode. 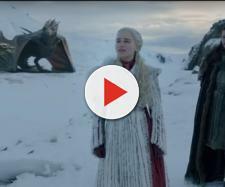 However, be sure to check out the new promo/spoiler clip that will get served up after episode 6 airs ,tonight, because I'm quite sure that it will reveal more info about the episode. Also, CW's press release, reveals that episode 7 is indeed set to hit the airwaves next Wednesday night, November 16th, 2016 at 7pm central time on The CW, so be sure to mark that date down on your TV calendars, and stay tuned.